Every interior needs a light bulb moment, and that’s where the Bristol Pendant Light comes in. With a choice of marble, metallic, wooden and concrete finishes, these textured tubular lights make the ideal design for smaller, industrial tinged spaces.Each style is carved into a cylindrical form that mounts directly to any Edison screw bulb for an elegant hang.Please note light bulb not included. 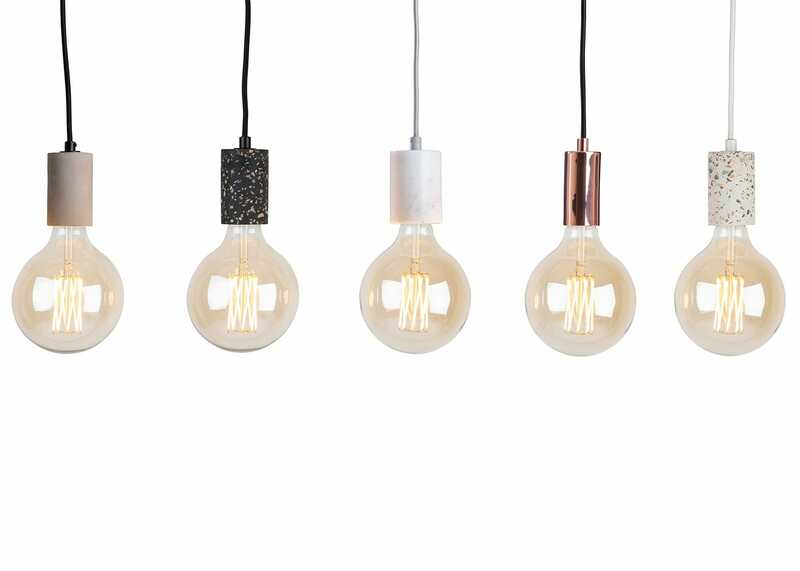 Don't be fooled by the photography of these products - they are highly stylised to make the bulb element look a certain way. Simply not like that in reality. Not blown away by these pendants at all. love these lights, worth the wait! look fantastic in our kitchen, really good finish and quality flex used. Stylish product. I suggest you buy the largest bulb to set it off to its best. Hugely over-priced for what it is. I bought an identical product for half the price. Having pealed off the sticker specifying 60W max, the sticker has left a very visible mark on the pendant. I have tried wiping etc, but this has clearly discoloured the concrete colour. I am very disappointed given the cost and the usual quality of Heal's products.